Sam Julien (“the Angular Upgrade Guy”) has been working with Angular every day since 2014. He’s poured his heart and soul into the comprehensive video course UpgradingAngularJS.com, and he shares his love of teaching Angular as the co-organizer of Angular Portland. 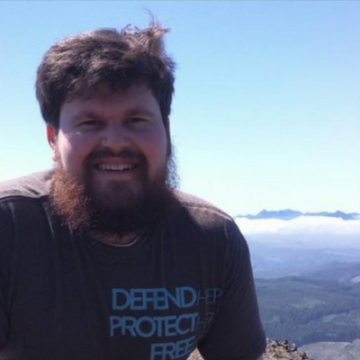 When he’s not coding, you’ll find Sam outside hiking or camping like a good Oregonian. There are tons of resources out there on *how* to upgrade from AngularJS to Angular, but no one ever talks about how to approach such a monumental task - and if you even should. How do you figure out where to start, which path to take, and whether it's even worth it for you or your company to spend the time and money? Should you do a top-down, bottom-up, upgrade shell - or just rage-flip your desk over and rewrite everything in Perl? Should you rewrite your architecture first, or your build process? And how do you show the business side of things that spending hundreds of hours on technical debt is actually worth it - even if you're not adding any functionality? In this talk, you will learn the WHY and the HOW of each building block of the upgrade process for your application. I find that when teaching (rather than simply presenting information), if you can convey the thought process behind WHY you did something the way you did, as well as the payoff for making that decision, you get a greater understanding, acceptance and application of the student learning.This is the meta-level talk I wish I had seen a couple of years ago: a toolbox I could use to identify the gaps in our app's architecture and tooling, but also how to balance it against our budget and time constraints. Instead, I just had to throw stuff at the wall and see if it stuck - and try not to get fired along the way. The talk will include a game plan cheat sheet you can work through on your own and show your boss or your teammates.